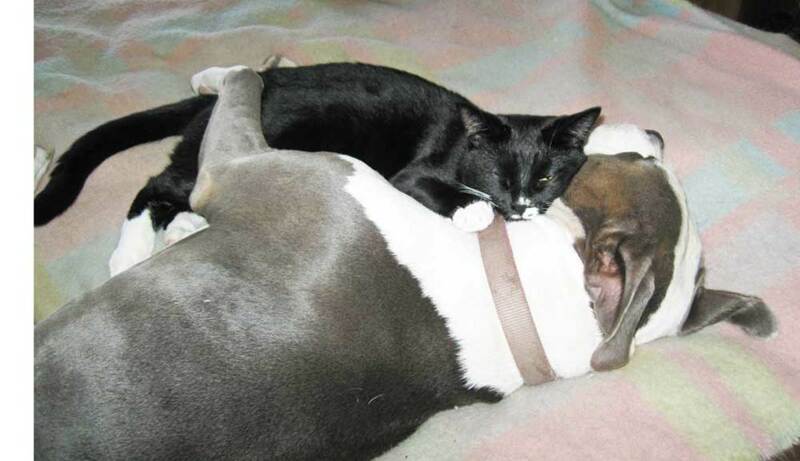 Pit Bulls and Cats: Good Idea or Recipe for Disaster? 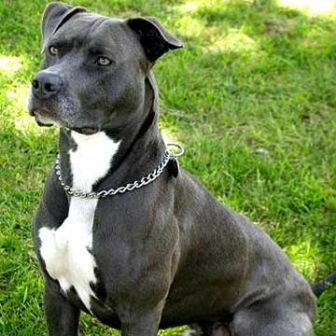 I realize that any subject about this breed can be controversial, because of the way the American Pit Bull Terrier (A.P.B.T.) has been painted by the media. However, I challenge you to do some research on your own, or perhaps talk to a friend who owns one of these great animals. I realize that to some people taking about the American Pit Bull Terrier doing such things as being in the same room as a cat, or paling up to a kitten might seem unbelievable. 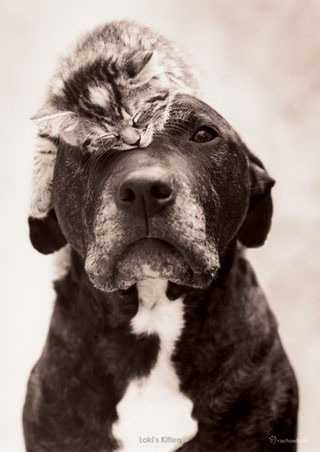 Pit Bull Terriers are often stereotyped as killers, showing aggression toward cats, other dogs, and even humans. These stereotypes are mostly baseless, and often stem from fear and misunderstanding. 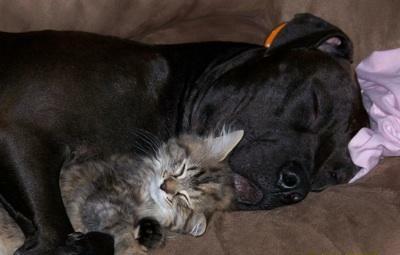 Actually, Pit Bulls and cats can get along quite well, and I'm going to prove it to you. 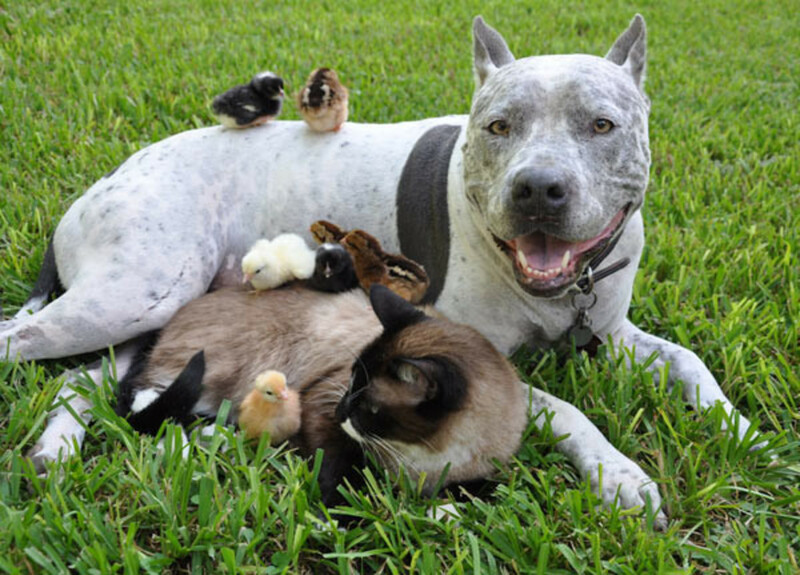 I can speak from personal experience when I say that - in the hands of a responsible owner - Pit Bulls can get along just fine with other animals - especially cats. All dogs are different; some are human aggressive yet animal friendly; some are friendly to cats yet aggressive toward other dogs. It really varies from dog to dog. 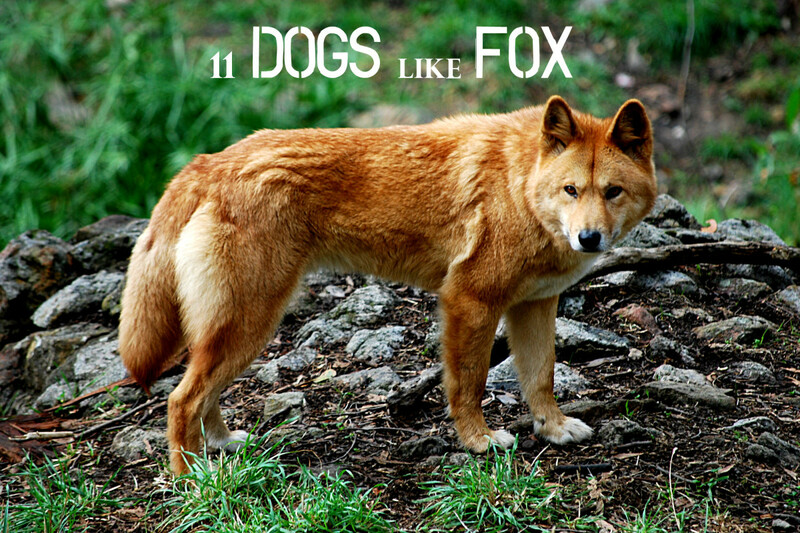 Their temperaments are as varied as those of their human counterparts. Note: No dogs should be aggressive toward their own family. 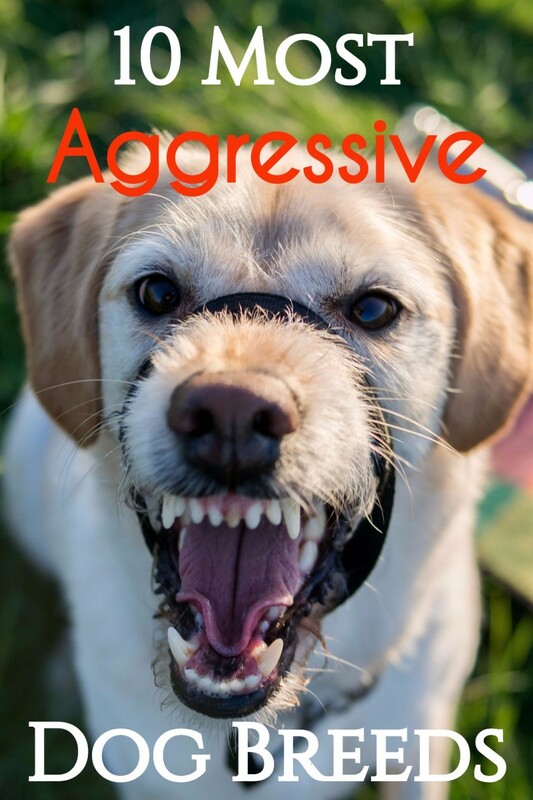 Such aggression is usually a sign of psychological problems with the animal, and should be handled responsibly. Well known A.P.B.T. from Youtube, Sharky, with family friends. Bad Breed or Bad Rap? Are Pit Bulls a bad breed? Isn't that sort of like if there is a bad race? There is no such thing as a "bad breed." A combination of irresponsible and sometimes dangerous owners, and the mainstream media drumming up fear for ratings, have given Pit Bulls a bad rap. Pit Bulls enjoy people, and are capable of forming very close bonds to their handlers or family. Pit Bulls are a loving and loyal breed, and they shine when they are given the proper attention from their owners. 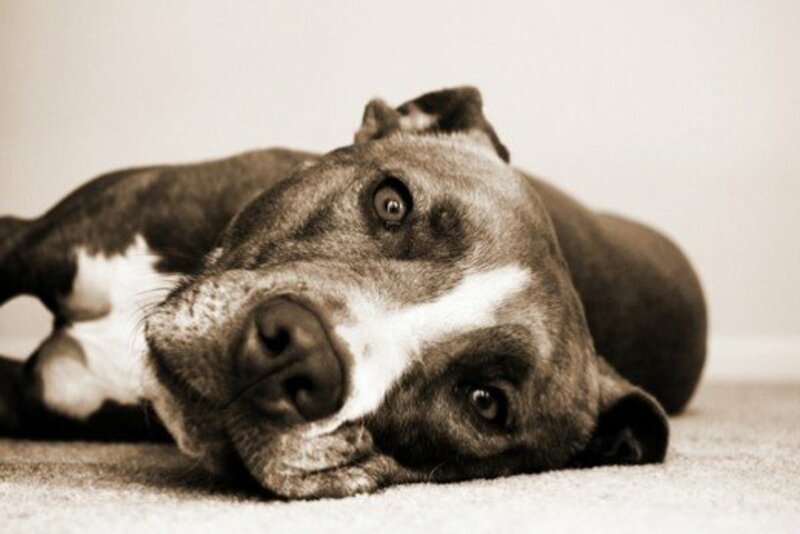 Pit Bulls are a highly intelligent breed, which makes training them a breeze. The old saying, "You can't teach an old dog new tricks" doesn't apply here. These dogs will continue to learn, and are even capable of unlearning bad habits taught to them by their owners (like jumping up on people, licking, or begging for food). *That Guy: Hold up, Buddy. Do you have an appointment? Chris Kross will make ya jump, jump! I spoke about the Pit Bulls temperament a little before, but how does this breed stack up to others? I'm not going to mention any ATTS scores here, because their own website states that their test is not designed for dog to dog comparisons. That's because certain elements of a dogs character that have been breed in are taken into account. In other words, the expectations from the test can vary from breed to breed. 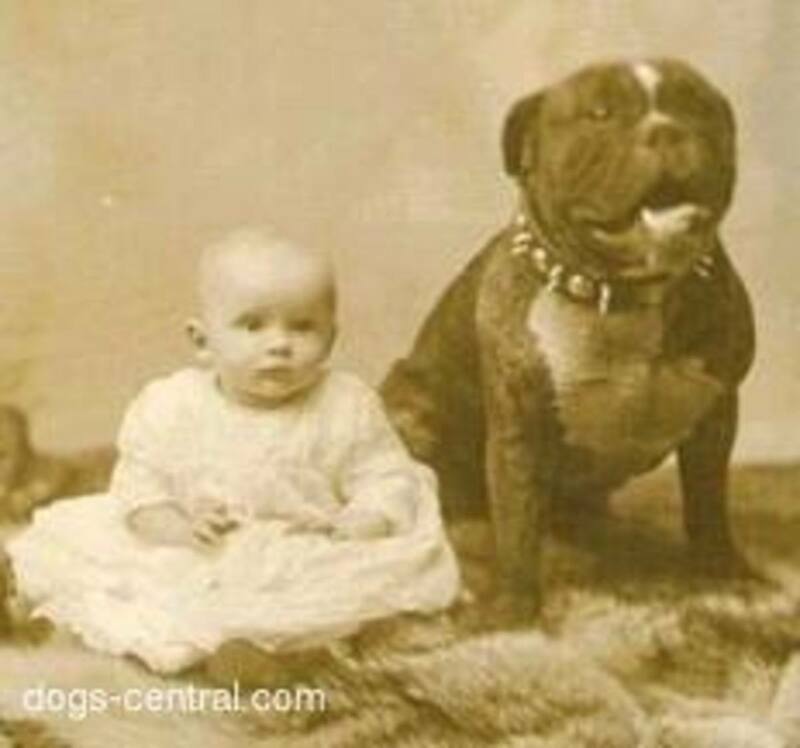 It is interesting to note, however, that historically Pit Bull Terriers have been breed for great temperament (along with strength, agility, and intelligence). That being said, Pit Bulls are protective of their owners. I wouldn't recommend running up on *that guy's family without a proper introduction. You need to be responsible to own a Pit Bull, as they require a lot of attention from their owners. Pit Bull Terriers are also typically a high energy breed. They can be rambunctious, but can also be surprisingly gentle, when the proper boundaries are set and enforced. Even so, common sense will tell you that more than one mid-sized, high-energy animal might be too much for your cat(s) to handle (assuming your animals share your home). Whether you are raising a puppy or bringing in an adult dog into a house with cats (or vice versa), you will need to be consistent in enforcing boundaries with the dog(s). 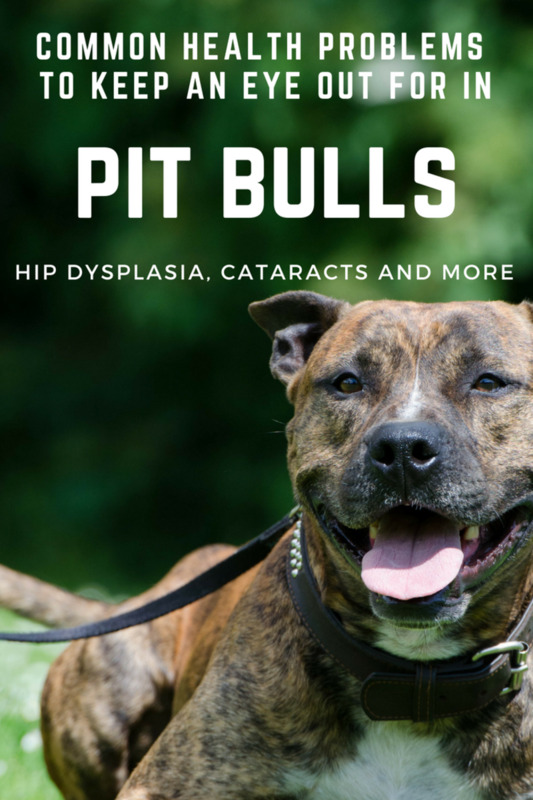 The good news is that Pit Bulls just want to please their owners, and like kids, are more than happy to operate within the boundaries that you give them. 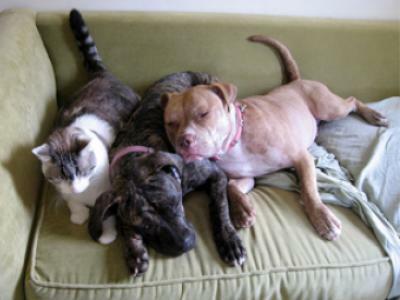 Raising Pit Bulls and cats together is no big deal, if you are a responsible dog owner to begin with. I've owned many popular breeds of dogs, as I grew up in a few small, country towns. I grew up raising dogs and cats together. I have never been more impressed by a breed of dog than I am with the American Pit Bull Terrier. In my opinion these dogs are the Alpha dog. In the end, these amazing dogs are all about pleasing their owners. 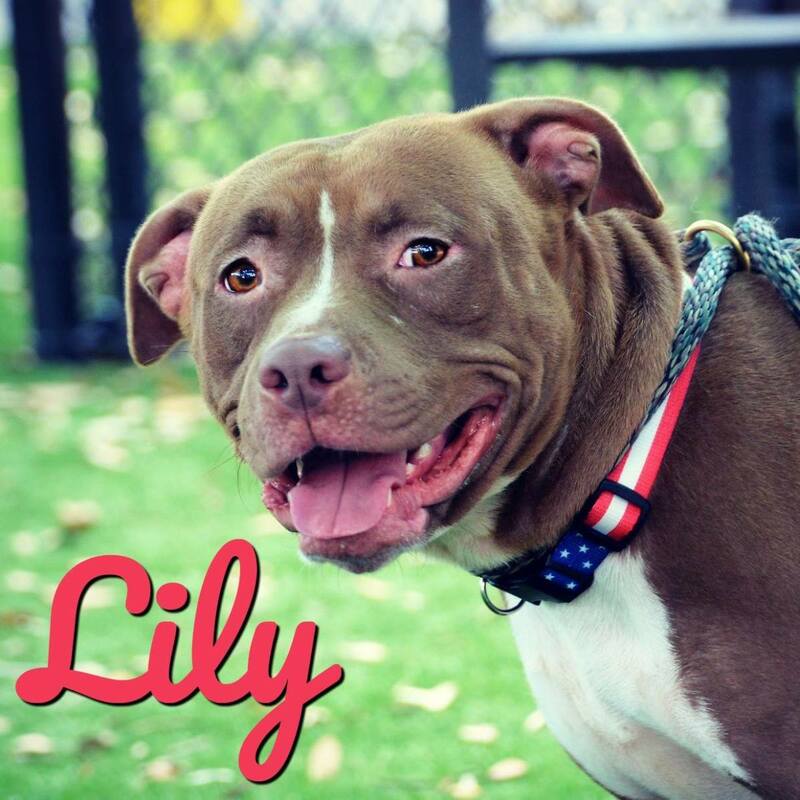 A balanced Pit Bull Terrier is not only capable of getting along with cats for your sake, they may learn to prefer the company of your feline family members. So give America's first native dog breed a chance, before you rule them out as a new member of your cat-friendly family. Are you crazy? Those dogs aren't coming near my cat(s). 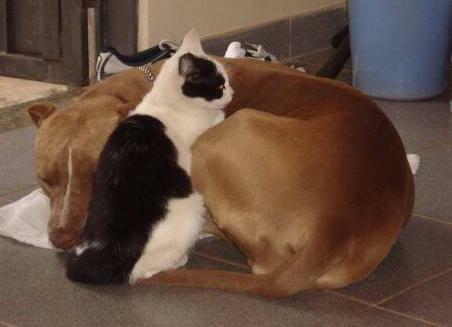 I woudn't say my Pit Bull(s) and cat(s) are friends, but they get along. My Pit Bull(s) and cat(s) are the best of friends. I also want to add that you should never, ever leave a cat alone/ unsupervised with a dog, no matter the breed. This is pet ownership 101. 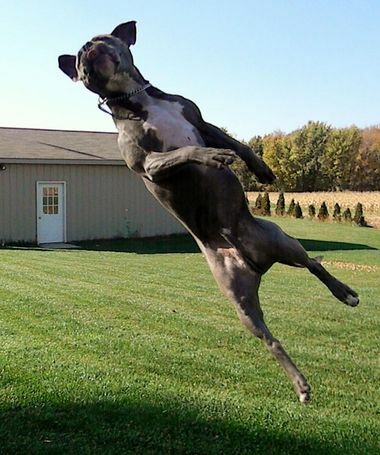 What a dog perceives as play can easily cause injury or even kill a cat. When we first got our Pitt, she was only allowed around the cats if she was leashed (we bought a leash extension that could go around our waists). Once we were comfortable (after about 3 weeks) , we allowed her off but only when an adult was present in the house. Now, we keep the animals separated while we're at work and then let them loose once we get home. We installed a tall baby gate (Amazon) so the cats and dog can smell and have limited contact with each other during the day, but aren't fully in each other's space. You have to be very cautious about having a mixed-species home. Manage your expectations; The best case scenario you should hope for is that your dog(s) and cat(s) ignore each other. - My information comes from years spent as a veterinary technician/behavior assistant and from my boss, a DVM for 30+ years. Former vet tech here. Repeat after me: there is NO SUCH THING as an aggression "gene". Anyone who asserts that a breed is predisposed to fighting/aggression, etc. is ignorant and uneducated. My former boss, Dr. B, a veterinarian for 30 years, has spent countless hours in free clinics and at shelters to show people that fools like "Colin" have no idea what they're talking about and all dog breeds can be aggressive given the right circumstances. Pitbulls require competent, responsible and experienced owners who are familiar with the breed. Pitties are high-energy and require regular exercise and socialization with both humans and other dogs. So yeah, if you chain your Pit up in your backyard and don't interact with him, he may develop some aggressive tendencies...but I would too in that situation. Also, neuter/spay your dang pets: not only will this reduce the overflow in shelter populations, in most cases of fatal dog attacks, the animal was intact. To summarize, don't get sucked into the negativity portrayed by the media or folks who have bought into the stereotypes. With the right owner (s), Pitbulls or any derivative of (Staffordshire Terrior, Bully, Bull Terrier, American Bull Dog) make excellent pets. Excellent and well written. Thanks for the insight. I am fostering a 2 yr/o male and have 3 young cats I was wondering about. Ive found that ALL breeds can be aggressive without love and a firm, but compassionate hand. Ive already seen how loyal and very eager to please Bud is and want to keep him. Im glad you stated that they can be untrained too. I saw a nice imagine of an old woman who was sleeping with her pitbull she loved for years, it ripped her face off in her sleep. 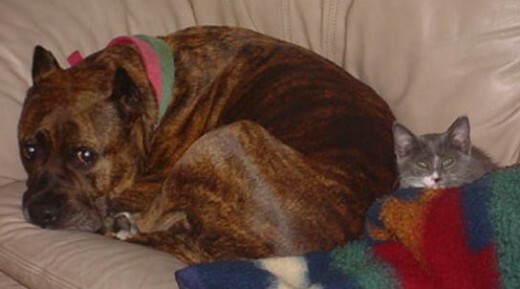 I have two cats, and I would never let a pit bull come near it. It's a genetic killer. My pitbull, Rosie, ( now passed away ) was a rescue from the island of St Croix. I found her with a 30' electrical cable growing into her neck. Judging by her scars my assumption was that she was a bait dog. I kept her and she lived with us for 11 yrs. She was the sweetest creature I have ever met. Fabulous with my grand babies from infancy up and she fiercely protected everything and all that was part of my rescue and household. From guinea pigs to 10 cats, 2 addl. dogs and 5 parrots, all mine, and to all the dogs that came in and out of our home to be adopted. She was their teacher their protector . I had two female cats. 18 months ago my teen daughter and I rescued a 3yr old pit. We were told she wasn't dog, cat, food, toy aggressive. She happened to be everything aggressive but after some work n love not to mention I fostered a pregnant mom cat who had her litter in our house. The aggressive pit picked her two favorites the rest got homes n its been smooth sailing... Well smooth enough anyone know how to keep kittens out of dog food n treats my pits kittens love dog treats n her raw bones that cant be health for a cat. I've had an adult pitbull for a couple years now. Seems like the sweetest dog in most situations. But I wouldn't trust her with a cat. Was walking her today and was curious to allow her to get within a few feet of a cat while on a leash. Seeing her actually licking her chops at the sight of the cat was a bit unnerving. I'm often defending the breed, but I wouldn't trust a pit with a cat. My boyfriend moved in about 4 months ago and after the initial introduction, my 9 yr old kitty and his 4 year old pit bull mix seemed to love each other. They would kiss each other, lay together, the cat even comes on our walks with us. Recently, the dog bit the cat in a situation we didn't see. We thought they were maybe playing and it got too rough. My cat ended up in the emergency room with a puncture in the roof of his mouth. We were so confused, the dog wouldn't intentionally hurt him?!?! After his recovery, they again seemed to be best of friends but last night while they were laying back to back, the dog rolled over and the cat started licking the dogs face, and without any warning she starting attacking him. I'm terrified. We are keeping them separated for now. I can't imagine getting rid of the dog. But having a terrified kitty, or a dead one is worse. I have 11 years experience in the Veterinary field and I am lost. If anyone has any advise please let me know. I love all animals, and understand that pit Bulls (although they get a bad rap) can be amazing pets. But we also know that owning her comes with great responsibility. She is incredibly strong and one chomp could end it for my cat. Thoughts?!?! We are already lucky to have many friends in the vet field and with be consulting with a behaviorist. I foster animals. I currently have a Pitbull terrier mix who is the sweetest boy ever by the way. In his defense he's never been around cats, my cats have always been around dogs. First day he was here I took him for a walk one of my 3 cats came upstairs and was on her window seat, he saw her grabbed her off the seat and drug her across the floor. Now my cats are scared to death and separated of course I wouldn't risk their safety again. But the particular place I'm fostering for just doesn't understand why I don't leave my cats locked up until The dog gets adopted. Ridiculous. This is their home to, and I was never told he wasn't around cats. If he would get along with my cats I would keep him on a second. We have always had cats, we got our pit baby at 9mos and she was raised around cats. Blue, our dog, earlier this year has killed our two 8yr old cats, one of the cats never liked dogs and the other was cautious about dogs as well. We thought getting Blue a male dog for fun would balance our family. We at one time had 6 cats and two dog. The male dogs showed signs of no interest in the cats unless Blue did. It's confusing iI know, we have had 2 different male dogs. The first one my husband had put down in the heat of the moment when the first cat was killed. One of many mistakes made that day. We got a different male and everything was fine for 6mos. Then the dogs cornered the other cat and we lost him. Blue, BTW, was the only dog scratched up and bleeding at all. Which after a lot of thought and consideration, brought us to the conclusion that she was the responsible party. Now 2mos later, we had the dogs in the house and she went after our 1yr old female cat. Blue once again was scratched up and bloody all over her head. Luckily the cat only lost a nail. Our pets are our family, but we can't go through the anymore losses. We're going nuts trying to figure out what set Blue off, she is now 3. The cats aren't doing anything to provoke the behavior. Do dogs go through a type of puberty or something that would explain the sudden change? I am so sorry to hear that happened. The same thing just happened to my niece. She is absolutely heart-broken. The pitbull she had for 10 months, killed her cat, which she had for 5 years. She is sick. THey had gotten along really well. Until one day. She never thought it would happen. ehen I met my husband he brought a half pit half boxer into the relationship I brought a kitten into the relationship 4 years ago we got another 8 week old full female pit into the family. The animals for the most part always got along but there was always a sense of fear that the new female pit would hurt the cat. Well yesterday she killed me cat and I am heartbroken to say the least. I am in the mist of a very difficult situation. I have her currently housed at our local shelter on a 10 day hold and I am having the vet go out and test her for anything that may have caused her to snap. I am also having a trainer come out to asses her to see if she can be reentered into my home. I am so hurt and angry and torn. If I don't get her in 10 days they will put her to sleep and I just would not be able to live with myself yet if I let her back in my home I don't think I could ever look at her and love her the same. Does anyone have any advice for me? Please no bashing I am hurting bad enough. I love all my animals like they are my children. I NEED HELP, DISPARATELY! I HAVE 6 CATS. THEY RANGE FROM 2 YEARS TO 23 YEARS OLD. DUE TO A FAMILY ISSUE, I NOW HAVE MY SON'S PIT BULL. HE IS SO FULL OF ENERGY AND RARELY SETTLES DOWN. MY CATS ARE TERRIFIED AND HAVE DECIDED LIVING IN THE HOT GARAGE IS A BETTER OPTION THAN LIVING WITH THIS DOG. I AM WORRIED, ESPECIALLY FOR THE 23Y.O.. HOW DO I TEACH HIM CATS ARE FRIENDS...NOT FOOD? I am afraid if he goes near the cats they will attack him therefore he will attack back... and that would not be good... any advise???? Hello Ive adopted a year old pit bull and he seemed ok at the shelter with the cats but i've had him 2 weeks now and i am terrified to let him near my cats (3) who aren't raised around dogs. He tries to chase them and he barks at them he's relentless. Any suggestions I will take any! It always helps if you're the one raising the dog, because you will know them better. That being said, our Pitt has been broken of bad habits (that we taught him). For instance, we thought it would be a good idea to teach him to scratch at the door when he needs to potty. We realized our mistake when he got bigger. lol Now we've retrained him to ring a bell. They're very trainable and re-trainable. I am debating adopting a pit bull mix - someone abandoned a puppy, and a good friend found him. My fiancée loves pit bulls since her sister owned one. I love dogs, but I am concerned about introducing a 6 month year old pit bull whose background I do not know into a home with a cat. The breed's predilection to hunt and the rambunctiousness of a young dog is my reason for pause. At the same time, I have had dogs all my life and know most are trainable. Thanks, Gail! I'm glad you enjoyed them. The dogs are very beautiful in their photos. Great hub, too! I totally agree, Laura. The bad apples of any dog breed can usually be tracked back to irresponsible and sometimes dangerous owners. People just need to realize that it's just another dog breed, and one that thrives on the human interaction from it's owners. They will do whatever you train them to do - good or bad. Cat R, I know of a Pit right now that can't be around cats. The owner also hates cats. Go figure. Our Pit, Demo, was brought into a house with 2 adult cats. He loved them from the time he was a puppy, but they are standoffish toward him. He doesn't understand that. We brought in a new kitten after Demo was fully grown, and he loved it too. He was so excited to see the kitten, but he instinctively knew to be gentle. Now the kitten is almost fully grown. Demo and the kitten get along great, and I catch them playing from time to time. All of them (Demo, the 2 adult cats, and the kitten) will nap together in the sunlight. The pictures are soooooo cute! Awesome Hub! 7 years ago from North Carolina, U.S. It truly does depend on their personality and on how we train them. Ginger used to hate cats to the point of chasing them with bad intentions. But since Pitties are a very intelligent breed originally mend to be family pets, they learn quickly and try to please. She now lives in a house full of cats and other critters. Slightly off topic, but... It's too bad that there is such a stigma against "bully breeds" of dogs, when in fact the stigma should be against all irresponsible dog owners, regardless of the breed.